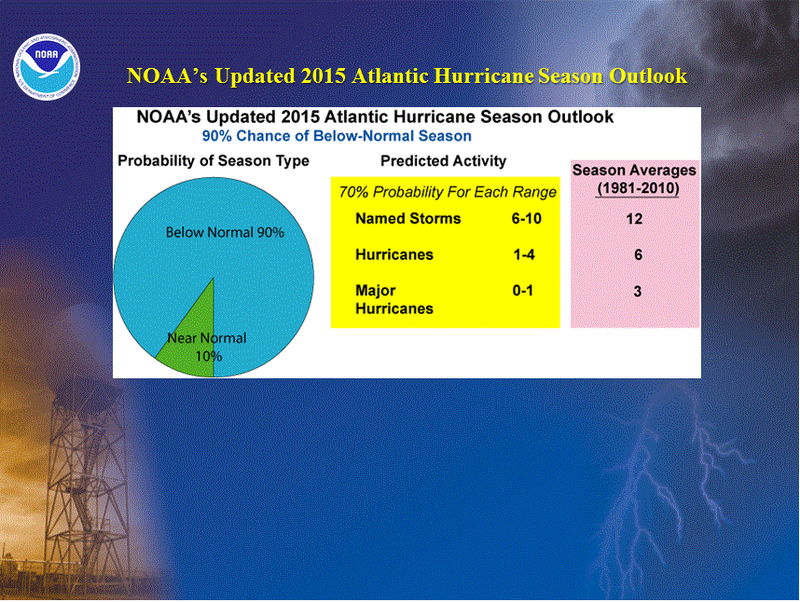 NOAA released its updated forecast for the 2015 Atlantic tropical season today. 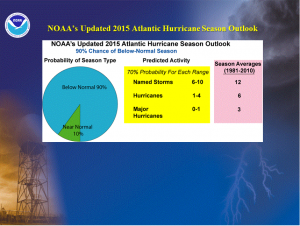 The detailed forecast can be found at http://www.cpc.ncep.noaa.gov/products/outlooks/hurricane.shtml. NOAA is now predicting a 90 percent chance of a below normal number of tropical storms in the Atlantic basin with just a 10 percent chance of near-normal conditions and no chance of above normal numbers this year.